Like tree removal, tree trimming is a much more complex process than you would imagine. When performed by someone other than a certified professional, it can do more harm than good. When our highly skilled team of tree professionals services your trees, however, a trimming can drastically improve the health and beauty of, not only your trees, but your entire landscape. There is a reason why we continue to be the service for tree trimming Tampa calls. At Tampa Tree, we follow the specific guidelines for tree trimming recommended by the Arbor Day Foundation. We focus on each tree individually and will never group all of your trees into one. 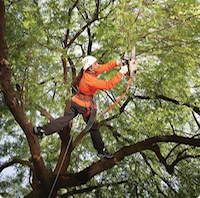 In other words, we approach every tree with a different trimming technique and strategy, which we determine to be appropriate for that specific tree, as all trees are unique and require unique service. Further, as a rule, we will never trim your trees in an unnatural way - it is important to maintain the natural aesthetic of each species. 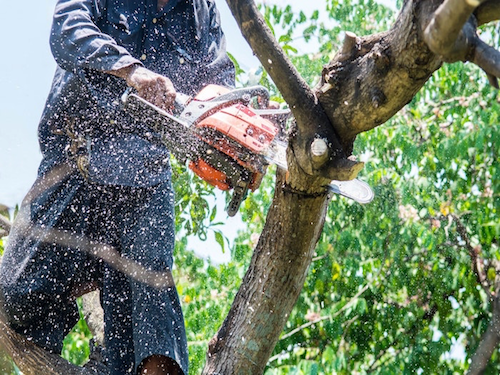 When you contact us to inquire about trimming services, one of our experienced arborists will come to you home or business and assess the tree or trees that you feel need attention. After a full assessment, he or she will give you our recommended approach and an estimate for services. On the same day, we will work with you to set a day and time for our team to return and perform the trimming services. We welcome and encourage any input from our customers, regarding the trimming style and desired end results. However, if we feel that your trees risk being over trimmed or otherwise damaged, due to your instructions, we are obligated to suggest alternatives. On the day of service, our tree professionals, along with the necessary equipment, will arrive at your property, within a guaranteed window of two hours. We will use heavy equipment, designed specially for trimming, to complete the job. 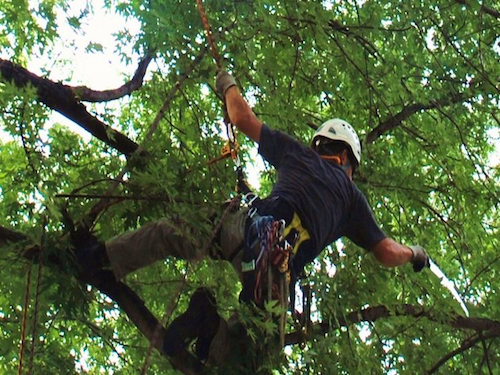 However, if you would prefer, we are more than happy to trim your trees using only climbing gear. Please let us know in advance, if this is the case. The Tampa Tree team will then go to work making the skillful, necessary cuts, beginning at the highest branches and working their way down toward the base of the tree. Our ground crew will be present at all times, clearing away brush and debris, in order to keep the area clean and safe. After the trimming process is complete, small branches will be placed in the chipper and larger branches will be stacked on your property, or hauled away, according to your preference. Because each and every cut affects the growth of a tree, it is imperative that you only allow a service you can trust to trim your trees. As the service for tree trimming Tampa trusts, allow us to be your go-to, for all of your trimming needs. At Tampa Tree Service, we know that the time of year, as well as the technique used can have a big impact on the success of the trimming and the health of your trees. We have dedicated our careers to providing communities with quality service and peace of mind - if your trees are overgrown, unattractive, or becoming a general nuisance, let us restore them for you. Search “tree services Tampa” and give us a call today!